SEO services customized to your business platform, products and services. We offer a wide range of solutions and can tailor monthly packages to any budget. Free basic SEO analysis provided or pay for our advanced, in-depth website SEO inspection. Helping businesses capture the digital market in the 21st century. We utilize only search engine approved methods to naturally boost your websites search engine results. Stay up to date on your SEO project with reports sent out on all critical areas of your project from analytic information to time spent. Enjoy freedom from long term contracts. Pay month to month, adjust budgets and focus areas with ease. Direct connection to your SEO specialist by phone, chat or email. No wait times or long delay on return emails or calls. Search engine optimization is a combination of on-page and off-page services that help naturally promote your website up in search engine results by utilizing quality tactics approved of by the search engine industry. Areas of a successful SEO campaign will include content development, keyword and market research, online exposure assistance, earned backlinking opportunities, coding enhanced and mobile responsive website adjustments, page load speedup, growing website depth, growing page depth, social media exposure, local profile setup or enhancements, 3rd party website listings, PPC campaigns and article writing and submission. In a nutshell, there is no single area of improvement but rather an extensive list of areas that all makeup the algorithm for successfully boosting your website with search results and page rank. 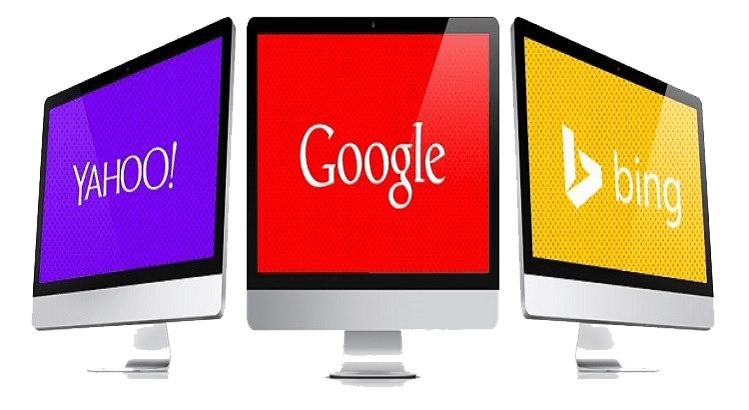 Optimizing your website for search engines such as Google or Bing will help improve where these search engines place your website on their search results pages for keywords and phrases people use when searching for products or services with similarity to yours. In order to determine a websites keywords, overall quality and indexability, search engines deploy special computers and software to crawl and index your website to check over its coding and on-page content. Having missing or improperly coded pages, low page/keyword content or overused keyword content can drastically affect your websites ability to list well on search results. Beyond this, having a professional review and adjust various aspects of your website also helps boost your visitor to client conversions as well as helping to lower your bounce rates. In the end, all the above factors add up to additional website visitors and increased sales or client conversions for your business. 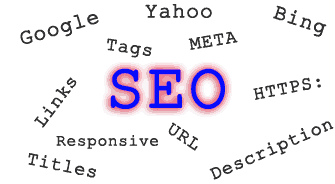 Need More Information on Search Engine Optimization? Learn more about search engine optimization in our free PDF guide. After contacting us by phone or email to discuss your current website and goals we will create a general overview of your SEO project. From there we will arrange to have a payment made for a comprehensive website SEO analysis as detailed above. The time to complete the SEO analysis can take between 1-3 business days to complete. Budgeting and planning consists of determining a monthly SEO budget that is right for you. We are able to develop project solutions within any reasonable budget and also offer affordable, basic one-time or monthly options as well. After you determine your monthly budget, we will submit a proposal of work performed per month based off the website report, your goals and budget. Once you have a chance to review, modify or approve the project we will arrange to collect the first payment and arrange a start date. During the project, we will email you updates on different aspects of your website SEO project along with any links or other resources to allow you to see the work performed. You are welcome to request changes or updates as you see fit included in the monthly agreement. For basic pricing please see our SEO price list below. With Website Wizards SEO service, you can rest assured we only employ ethical SEO standards when working on client websites. Many of our competitors will use shortcuts such as spam-based back linking of websites, bot page traffic and other unnatural practices which may or may not boost your website in the short term however will negatively impact your website in the long run. Depending on your budget, we utilize a wide array of methods to bring your website up naturally in keyword strength and as a result, climb higher in search engine search results. No two SEO projects are the same just as no two websites are the same so before we can even begin to give you an idea on what or where you should start with improving your websites search engine footprint, we first must analyze the website, source code, titles, tags, ALT text, images, load times and on page content. From there we do a global reputation scan of backlinks, social sites and other off-page checks. After we have a complete understanding of you, your goals, services or products and a comprehensive report on the website we can discuss with you an appropriate project scope detailing how to best Search Engine Optimize your website. A minimum monthly budget you should plan for in order to achieve maximum results will be a few hundred dollars however if you are looking for a more budget friendly approach, please see our Monthly Services Pricing guide for minimum cost SEO options. Do I have to pay yearly ? No, you can obtain our services on a monthly, bi-monthly, bi-annually or annual basis. For best results SEO services are generally performed monthly however skipping a month or months is not going to diminish work performed in the months past. How long for SEO results? This depends on your website and how often search engines crawl your website. Typically within 1 week to 1 month after this service you should see a change to your keywords improvement. Will the website remain up and running ? Yes your website remains up during the entire process. There is no interruption to your website, email or any other aspect to the website. Am I notified of changes to the website ? Yes, before we perform any SEO work for a client we email them a detailed list of the steps we will be taking both on their website and 3rd party sites and wait for final approval before starting the work. After work is complete we email a final report detailing all work performed. What will I need to provide you ? This is on a per case basis however generally speaking we need to know what keywords you are focusing on if any, the type of business services or products you offer, website login information and any non-personal social media sites you use in conjunction with your website. Can I change my keyword choices after you have performed the SEO work ? Yes however the same work would need to be performed again in regards to your website content, social media linking and link backs. It is best you figure out what keywords have the best impact for your business or feel free to ask us for assistance. Will your SEO service work for any website platform ? Yes all website platforms can have SEO and keyword boosts and adjustments. Is this something I can learn and do myself ? Although many aspects will depend on your technical skills, generally speaking yes, there are many things you can do yourself to improve keyword strength and SEO however you will need a good deal of time and effort to get current on industry standards and practices. The (SEO Guide) is in place for those who would like to start learning more about website SEO. Learn detailed information about your websites with our comprehensives report.